Old photo, white border. 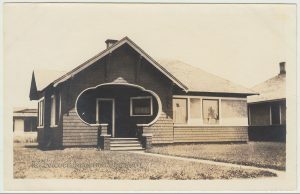 Circa 1910s – 1920s. 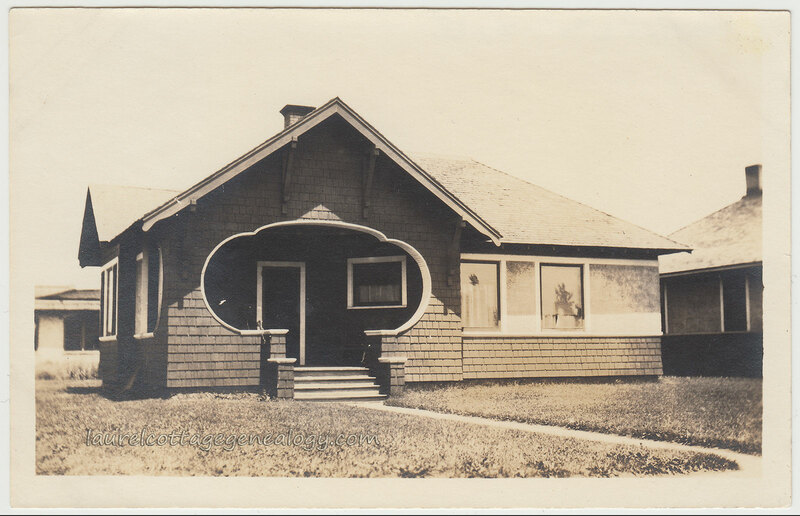 What was the inspiration for the front porch entryway on this wooden shingle-sided house or cottage? Some gingerbread porches have similarly shaped designs, albeit hugely different in their airi- and elaborateness…..But, we’ve never seen one like this. The location is unknown. How nice would it be (this seems to be a common refrain with old photographs) to be able to pop in and wander around (if we went around the house to our left, we’d probably see another cutout looking into the porch – note the long curve next to the corner) first to see if any other homes in the area share this architectural feature, and secondly to look for street signs and at the surrounding terrain…..as ideas for our whereabouts start filtering through……and then, putting us out of our suspense, finding a passerby to ask what city we’re in, and if we’re brave enough, what year! This entry was posted in Houses, Old Photos and tagged architecture, eaves in old house photos, front porches old photos, old photos front lawns porches walkways, shaped front porch facades by Annieoakley. Bookmark the permalink.